and you could call him up on the phone whenever you felt like it. That doesn’t happen much, though. There’s a quote from Thich Nhat Hanh about washing dishes that’s a bit long to quote here. Basically, he says that if you’re thinking about your tea while you’re washing dishes, we’re missing out on the miracle and the meditative act of dishwashing. We’re living in the future, and odds are we’ll do the same when we get our tea. We’re not spending our time, fully, in our moments, and that’s not living at all. Don’t do any task in order to get it over with. Resolve to do each job in a relaxed way, with all your attention. Enjoy and be one with your work. I just want this meal to be over so I can clean the kitchen and sit down for a minute. I want this day to be over so I can sleep, this week to be over so I can enjoy the weekend. I can’t wait for my kids to grow out of the teething stage, the whining stage, the “it’s not fair” stage, the rebellious stage. Guess what? They do grow out of those stages, and then the panic hits because soon they’ll be leaving the nest. My kids are 10, 14 and 17… and while I did try to be really present for them and with them for stretches at a time, I wish I’d done so a lot more. Not let depression, work, and anxiety about money and other things I had little control over get in the way. Parenting is hard— and I have news, friends: it doesn’t get any easier when they’re older, it’s just hard in a different, and differently fulfilling, way. 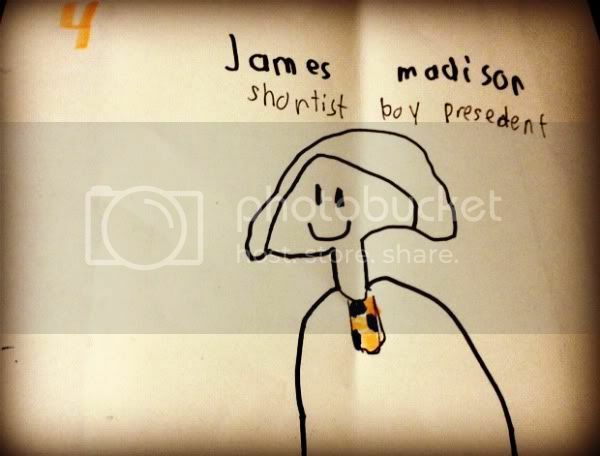 You begin to get a real hint of what those kids are going to be like as adults; infuriatingly, sometimes frighteningly, they’re a lot like you. For better or for worse, there is nothing quite like hearing words you remember speaking when you were young being echoed by your teenager. And sometimes, that’s exactly what you need to finally work through the baggage you’ve been carrying since those days. Children make adults of us all. I was recently sent a copy of Parenting with Presence: Practices for Raising Conscious, Confident, Caring Kids. That’s my copy pictured at top; usually, I read books with a notebook and pen, but there were so many things I wanted to be able to refer back to that I started dogearing. 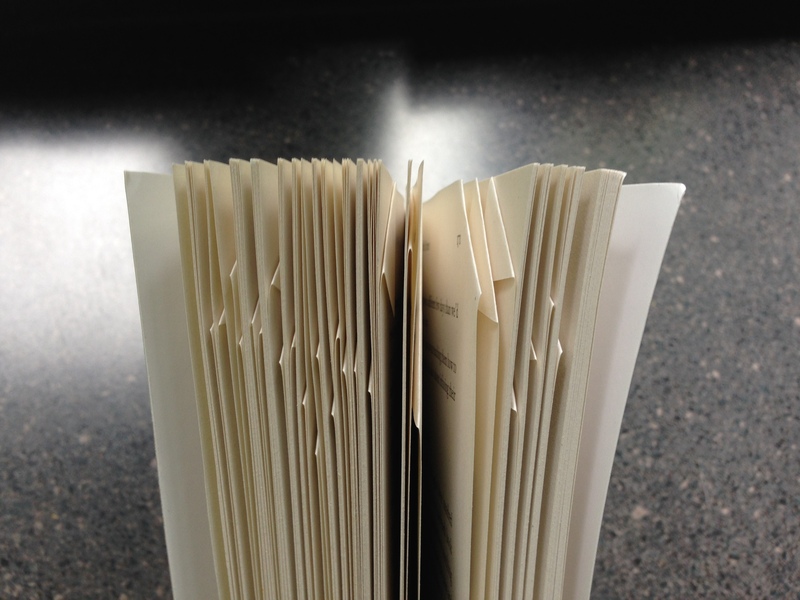 (Some pages are dogeared top & bottom because there were nuggets of wisdom on both sides of the page!) It would take me all day to list them all, so here are some I’ve randomly chosen, followed by an excerpt provided by the author. I’m of the opinion that all self-help books of this kind are beneficial, in that they force you to slow down and really examine what’s gone awry in your life, and make an effort to fix them. Simply looking at what works and what doesn’t does wonders. Within this book is a treasure trove of advice, questions, and methods for improving not only your relationship with your children, but with your past and with the loved adults in your life. It’s more than a parenting primer; it’s a handbook for life. You should really check it out. As frustrating as it is when our child doesn’t match up to who we would like him to be, we don’t lose our cool because he is annoying or uncooperative. We lose it because we think he shouldn’t be annoying or uncooperative. In other words, our difficulty in being fully present with whatever is going on with our children is fueled by the mismatch between our Snapshot Child—who exists only in our imagination—and the real flesh-and-blood one in front of us. It is in the challenging moments that we get to move through resistance and strengthen our dedication to parenting with presence. Remember, muscle building cannot take place without tearing down muscle fibers—this is called hypertrophy. These microtears are what it takes to build muscle bulk. We grow ourselves up each time we listen without reacting when our child shares something that fills us with dread, teaching her that she does not have to hide the truth from us. 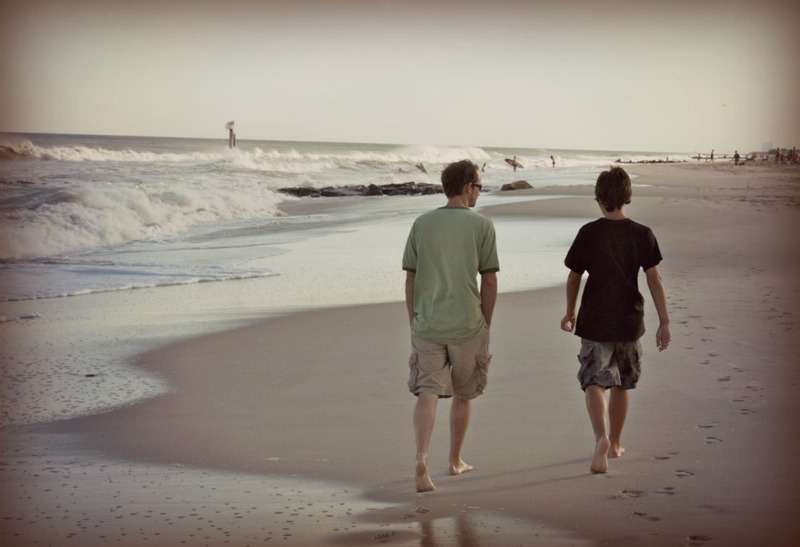 When most parents are asked what they want most for their children in preparation for their adulthood, they begin by saying, “I just want them to be happy.” And here is where things get interesting. While there are many qualities that we can and should nurture in our children, there is one without which all other attributes become significantly less important: we need to raise our children to know they are inherently worthy of love and happiness so that they will be able to absorb all the good that comes their way. Enjoying our own company, disengaged from external stimulation, is essential to our happiness. If we fail to help our children lean how to be alone, they will always be lonely. It is only when we can be truly comfortable in our own skin that we can attract and sustain healthy relationships. It is said that we think about sixty thousand thoughts each day. It is also said that about 80 percent of them are negative. And it is believed that about 95 percent of the thoughts we think today are more or less the same ones that we thought yesterday, the day before, and the day before that. This means if we don’t change our habitual way of thinking, we will be drenched in about forty five thousand negative thoughts each and every day. In India they’re called householder yogis — women and men with an unshakable commitment to their spiritual path who have decided to have a family rather than to live in a cave or an ashram. They choose to grow and evolve through their experiences at home and in the workplace, embracing the challenges of everyday life as the means to their transformation. Many of us subscribe to the belief that spiritual growth happens as a result of daily meditation, mindfulness retreats, and inspiration from wise luminaries. But one of the greatest teachers you could ever hope to learn from is living right under your roof, even if (especially if) he or she pushes your buttons or challenges your limitations. In parenting, things get very real, very fast. Figuring out how to cope when your child spills juice on the new sofa or managing your reactions when your kids tease each other nonstop on the long ride to Grandma’s is the equivalent of an advanced course in personal growth. Do you fall apart, or are you able to stay present, deepening your ability to be with “what is,” responding rather than reacting? True spirituality doesn’t happen in a cave at the top of a mountain. It’s down here, wiping a runny nose, playing yet another round of Candyland, or rocking a colicky baby at two in the morning. The Buddha is crying in the next room. How you handle that is as evolved and as spiritual as it gets. Many of us are charmed by the image of our sons and daughters as divinely appointed teachers who can help us transform our hearts and souls. But while the idea of seeing our child as one of our teachers has a lyrical, enlightened ring to it, there’s a difference between accepting the idea of something and embracing the reality of it. Our children may indeed catalyze a love within us that we could not have imagined possible. But they can also elicit powerful elements of our shadow selves, calling forth aspects of our nature, such as impatience and intolerance, that leave us ashamed and overwhelmed. Maintaining equilibrium is key to living in the moment, but nothing tests our ability to stay centered like parenting. Raising kids can be anything but peaceful, with sibling squabbles, homework meltdowns, and arguments over video games all-too-familiar features of the landscape of family life. It’s easy for soulful principles to collide with the realities of day-to-day life with children underfoot. Even the most seasoned meditator or yogini may find herself shouting, threatening, bribing, or punishing, despite having set intentions to remain loving and calm no matter what. There is a saying, When the student is ready, the teacher appears. I have long found it to be true that when I am ready to expand my horizons intellectually, psychologically, or spiritually, an opportunity presents itself that seems divinely orchestrated to allow me to stretch, grow, and learn. That said, I don’t always want to stretch, grow, and learn! Instead, I may feel as if I’ve been involuntarily enrolled in a class I had no desire to take! When it comes to parenting, it seems that although we may not have knowingly signed up for the “course” our children offer, we nonetheless find ourselves forced (“invited?” “given the opportunity?”) to profoundly grow, and grow up. In this respect, I believe our children can become our greatest teachers. While we may not deliberately choose to have a baby so that we can heal wounds from our childhood or become a better version of ourselves, in fact, those opportunities — and thousands more — are birthed right along with our children. 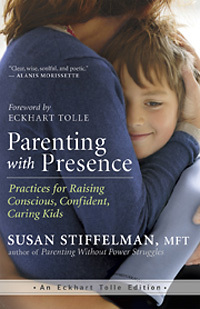 Susan Stiffelman, mft is the bestselling author of Parenting with Presence and Parenting without Power Struggles. She is a licensed marriage and family therapist, a credentialed teacher, and the Huffington Post’s weekly “Parent Coach” advice columnist. She lives in Malibu, California where she is an aspiring banjo player, a determined tap-dancer, and an optimistic gardener. Visit her online at http://www.ParentingwithPresence.com. Then you’ll just have to work 7 days a week. Until tonight I’d thought that failure was my biggest enemy. But now I had to add success to my list of worries. How could I possibly go on like this? It’s Book Club Day! 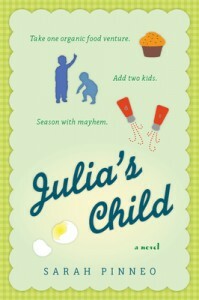 This month I signed on to read Julia’s Child, a novel about a woman with principles, an organic toddler food business, and two kids of her own. I thought this book would be a great jumping off point for me to talk about organic foods and how they matter. About how you can have a business and still have ethics. About how it’s important to live what you believe. The quote above floored me. 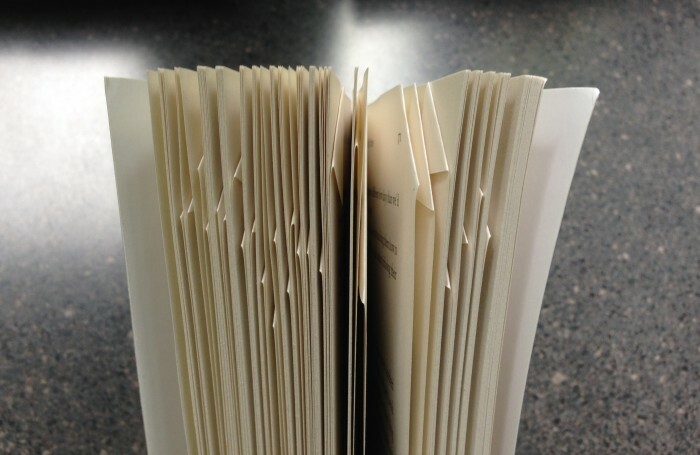 At that point, the novel became less about organic anything and more about fear. Fear of success. Fear of failure. Because when you commit to any one thing, you take time and dedication away from another, and when that other is your family… well, it’s difficult. And for me it hits close to home. Recently the internets (predictably) exploded with the release of a Time magazine article that claimed about to be about attachment parenting. I haven’t read it, so I can’t speak to that; and I refuse to link to it, so if you want to go down that rabbit hole go ahead and put a Google on it. What I can speak to, however, is how obnoxious the cover was, in its obvious effort to sell magazines by pitting moms against each other. Working mom vs stay at home mom. Breastfeeding mom vs bottlefed mom. Homeschooling mom vs public school mom vs private school mom. I could go on all day. Fear. Fear that we aren’t mom enough. Fear that if we are mom enough, then we aren’t woman enough. Fear that we’re screwing our kids up. Every day, new headlines shout all the ways we’re doing it wrong. Of course, those studies will be debunked in a few months time. And then that study will be refuted. I’ve worked in the momosphere long enough to see that these stories are cyclical. And they feed off our fear. I feel the fear all the time. I work a lot. I do it for me, for my sense of accomplishment and yes, self-worth. I do it so I can help pay for the things we want and need. I do it to show my kids that hard work and being creative and thinking for yourself means something. But it takes time away from my kids, and I only get 18 years with them before they venture out into the world without me. I only get a few hours with them most days of the week. 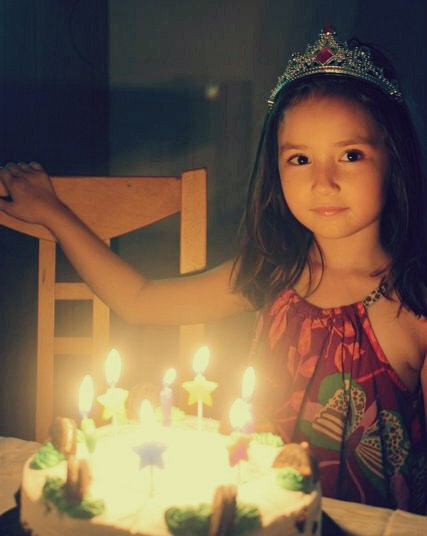 And my youngest will be 8 this July… meaning that almost half my time with her is already gone forever. It scares the living crap out of me. I found this in the trash can in my office today. What the hell does this even mean? Shortest term, or shortest stature? (I’m not up on my Presidential trivia.) What prompted her to doodle such a thing while sitting on my office floor? I want to ask her about it, and I sort of don’t. It’s such a beautiful little moment, funny and darling and I want to fold it up and put it in my pocket and carry it always with me. And to think, if I’d emptied my trash like I was supposed to (tomorrow is pickup day) I would have missed it. Just thinking about it makes me panic, makes me want to wake her from her bed and ask her to tell me every little thing she’s done in her sleepy voice, so I can collect all the gems and put them in my pocket and jingle them, like change, as I go about my day. And no, I have no idea what that means. But I feel very strongly about it. I wanted you to see what real courage is, instead of getting the idea that courage is a man with a gun in his hand. It’s when you know you’re licked before you begin but you begin anyway and you see it through no matter what. You rarely win, but sometimes you do. Usually when I sit down to write a blog post I haz opinions. I have an end game in mind. That is not the case with this one. I have no answers. I just wanted to let all those moms who wonder if they are “mom enough” know that they are not alone. I am proud of my kids. I am proud of the way I have parented them. I still stand behind living the non-toxic life, behind being both strict and free range, behind eating organic, behind not treating my kids like children, behind demanding they earn praise and rewards, behind giving them life skills as soon as they were physically capable of learning them and then expecting them to pull their own weight around the house. But I have my own laundry list of regrets, perceived inadequacies, dashed hopes and certainties that I have screwed my children up beyond all possible repair. As parents we all fight that terrible battle and yet we soldier on and do our best. Being a parent is courageous. No matter where you stand on a million little issues that the media and other parents would like to pit us against each other on: believing in your stance and parenting by it, is courageous. Raising your child so that one day they will no longer need you is courageous. Life… is all about struggling through fear. About being courageous in the face of situations where you’re licked before you begin. How you approach those situations, I think, is where the true parenting lies. This post is inspired by the novel Julia’s Child by Sarah Pinneo, a book I really enjoyed although I barely even touched on the plot here. Worried about what her kids eat, Julia Bailey starts a prepared organic toddler meals business. With names like Gentil Lentil, can Julia balance work and family and still save the world? Join From Left to Write on May 24 as we discuss Julia’s Child. As a member, I received a copy of the book for review purposes. You can only turn your face up and let it rain down. Apparently you can’t stop time. The Honey Badger Mom in me knows this. Knows my job as a mother is to raise children who don’t need me. And I look at this photo of my sweet sweet girl, listen to her jabber on about the most nonsensical things, see her dance on her toes and twirl her hair. My youngest, my baby. Seven. My eyes tear and my heart breaks. I fight the selfish urge: to want to be needed. Robin Elton is a participant in the Amazon Services LLC Associates Program, an affiliate advertising program designed to provide a means for sites to earn advertising fees by advertising and linking to Amazon.com.